Have you ever tried to practice yoga? The most frequent argument you hear, when you ask people why they don’t try yoga is: “I am not flexible enough and just too stiff”. Did you ever realise that this is exactly the reason why you should try it? Yoga can help your stiff body a lot and the more you practice the easier you can, for example, bend forward. 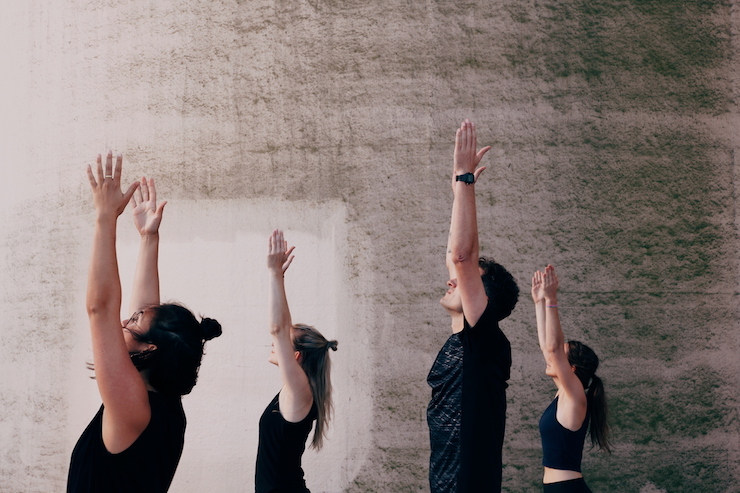 Especially in the beginning, we had the feeling, that we learned so quickly and after some weeks and months, we were already feeling the progress and got more confident during yoga practice. So don’t search for excuses why you are probably not good in it. Just give it a try and do something new. We promise you that your body and soul will like it. Do you know why we think, yoga is for everyone? Because of the huge variety, yoga is offering. If you are more a real sporty person who wants to challenge his or her body and do a real workout, go for a Vinyasa Flow class. You want to take a break from the stressful daily life and just relax and do something good for your body? Go to a Yin Yoga class. Read more about the different styles of yoga here. (But don’t worry, there are a looot of different types and even we have never heard about some nor tried all of them). So we will explain you the most common and our favorite styles in one of our next blog posts. We will also explain to you which style is fitting you best, so just check our blog again and we’ll help you to find your own, favorite type of yoga. Additionally, yoga pairs up well with other types of sports such as running, tennis or soccer. 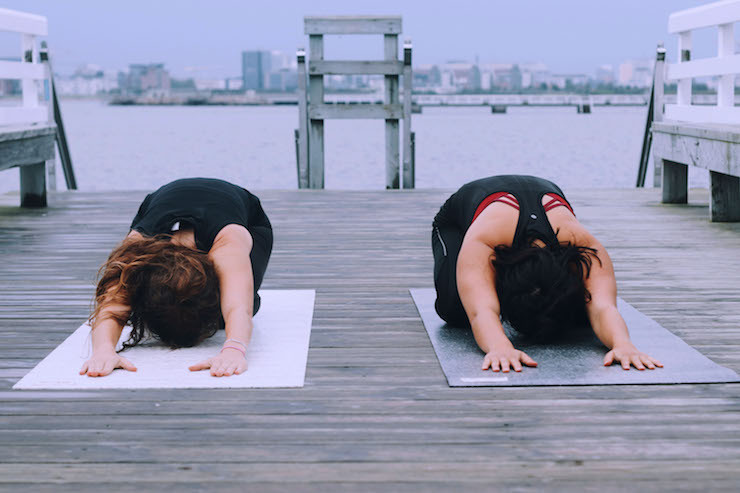 While doing yoga you stretch and relax those tense and fatigued muscles, which helps you regenerate and become better in various types of sports. It also equips you with core strength and balance which help you during sports such as surfing, skiing or snowboarding. However, the benefits of yoga not just positively impact your physical health, yoga has even greater effects. So the real yogis among you probably know all this, but for you newcomers, we want to tell you our reasons for loving yoga so much. Yoga is pure relaxation, both for your body and your soul. We are sometimes tired and would prefer to chill in our cosy apartment, but we just go and practice yoga. After your class, you will feel so calm and energised at the same time, you will not regret you went. Actually, we never regret any yoga class. It just makes you feel strong, confident and relaxed. Yoga is all about bringing your body and soul in line. While you strengthen really deep parts of your body and muscles that you never knew they existed, it is probably the only time in your hectic week that you care about your soul and where you can just be without evaluation. We love to evaluate everything that is happening inside us and around us but Yoga is about sensation where you can simply enjoy and feel what you do. You take time just for yourself and for no one else. It’s just you on your mat. You can feel yourself while forgetting everything that happens outside. We hope we convinced you to give it a chance and to take some time for yourself. We also promise you that our hejhej-mats will comfort you the best way in your yoga practice. Without slipping in flowing poses and without hurting knees in deep poses. We love yoga but we love yoga, even more, when practicing on our closed-loop yoga mats. from my experience, Yoga improve your mental healthy in amazing way!